Getting started with ZCB is easy and you can start backing up in less than 15 minutes. 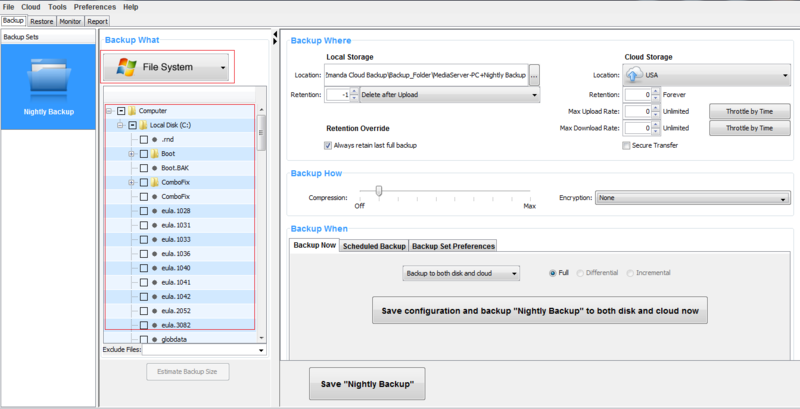 This guide introduces you to the main steps of configuring and running your first backup. FMake sure your machine has JRE 6 (Update 20 or higher) installed. You need to install the correct package for your machine platform (32 bit or 64 bit) from here. FMake sure your security/anti-virus program allows for installation of system services. FComplete the ZCB purchase from Zmanda Website. At the end of the process, you will be redirected to your Zmanda Network account page. FDownload ZCB and your Zmanda, Inc certificate named s3.zmanda from the Zmanda Network. This certificate is used by ZCB only to identify your ZCB account to Amazon and can’t be used for any other purpose, such as encryption. FInstall ZCB. You will be asked to provide a password for a new Windows user named amandabackup. Please remember/document this password as you will need it to perform certain advanced operations. FIn the Windows Start Menu, locate ZCB. If you are using Windows Vista/ Windows 7/Server 2008, right click on it and choose “Run as Administrator”. When ZCB starts up, you need to import the s3.zmanda certificate which you downloaded from the Zmanda Network. To import, click on Cloud -> Import Cloud Certificate and input your cloud certificate’s location. If you see the message below, congratulations! You now have ZCB up and running! If you see an error, double check the steps and contact support if the problem persists. You can click Cloud > Check Cloud Connection in the ZCB user interface at any other time to check connectivity to Amazon S3. FWhat you want to back up? FWhere you want to back up and for how long? FHow you want to back up? FWhen you want to back up? A ZCB backup is made up of your answers to the above four basic questions. Choose what type of data you want to backup – File System or an application such as Microsoft Exchange Server. If you have chosen File System, select the folders/files which you wish to backup. For your convenience, ZCB automatically selects files/folders in your home directory. 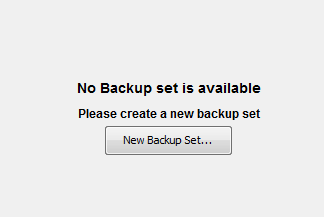 You can deselect the files which you don’t wish to include in your backup set. FOnly Cloud Storage: Choose the desired Amazon data center from the dropdown under the Cloud Storage section. Click on Secure Transfer check box to make the data transfers to the cloud SSL-enabled. 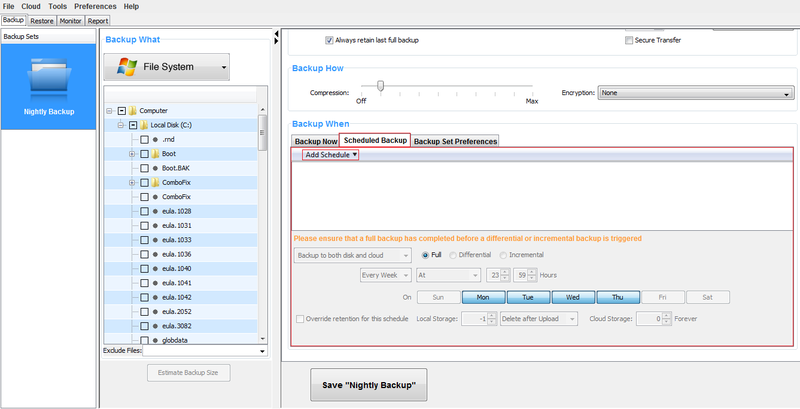 Choose desired compression setting to reduce the size of backup data ZCB stores and transfers to the cloud. Once you get to know ZCB better, you can also turn on backup data encryption so that your data is truly secure at all times. For details on how to enable encryption, please refer to the ZCB User Guide. If you wish to do a manual backup, click on the Backup Now tab as shown below in the Start Backing up! section below. If, however, you wish to add a backup schedule, click on Add Schedule button to choose from easy to use schedule templates. Congratulations! Your first backup set is now configured. 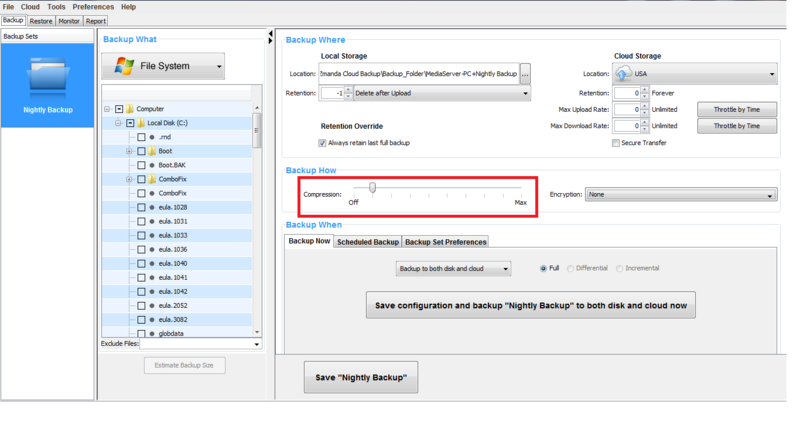 Save the backup set configuration by clicking the Save backup-set-name button at the bottom of the page. If you had added schedules for backups, the backups will start at the configured time and you can sit back! If you had not added backup schedules and wish to instead run an immediate backup to cloud manually, you can do so. Choose the Backup to Cloud operation from the dropdown list in the Backup When section and press the Backup to cloud now action button. That’s it! Your data will now start getting backed up and will soon be completely protected in the robust and reliable storage of Amazon S3! You can monitor the backup tasks being run by ZCB on the Monitor page. This page shows information about all the ongoing tasks for all the backup sets, giving you a consolidated view of what ZCB is doing at any moment. This section pertains to ZCB with Google Storage only. You can check your usage and buy more storage through the Cloud menu, as shown below. Simply click the appropriate option. We understand that you will have more questions about the way ZCB works. We recommend that you check out ZCB FAQs. For detailed instructions about particular features, you can refer to the ZCB User guide. You can also visit the Zmanda forums - http://forums.zmanda.comand search the ZCB forums for questions already asked by our users and resolved by the community. In case you need technical assistance, please open a support case by clicking on Help > Contact Support in the ZCB user interface. For any general query, you can write to us at zcb@zmanda.com.